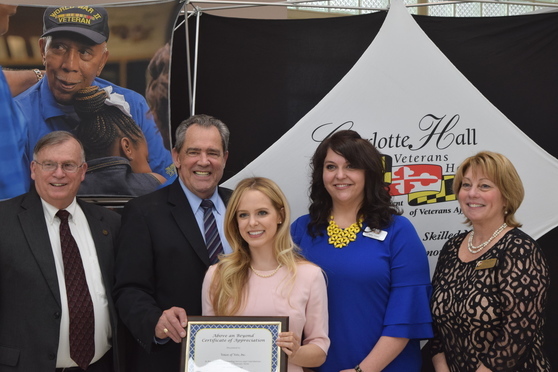 The annual Volunteer Appreciation Banquet was held recently for the many volunteers who give so much of their time, talent and treasure to Charlotte Hall Veterans Home. More than 220 invitations were sent to individual and group volunteers. In 2017 volunteer hours exceeded 18,000 hours. Thank you to all the individuals, groups and organizations who helped brighten the days for the residents at Charlotte Hall! The Maryland Veterans Commission meeting was held last week at the Maryland Center for Veterans Employment and Training (MCVET). During the Commission meeting, Commissioner Thomas Kimball presented a donation to MCVET from VFW Wicomico County Memorial Post 10159. 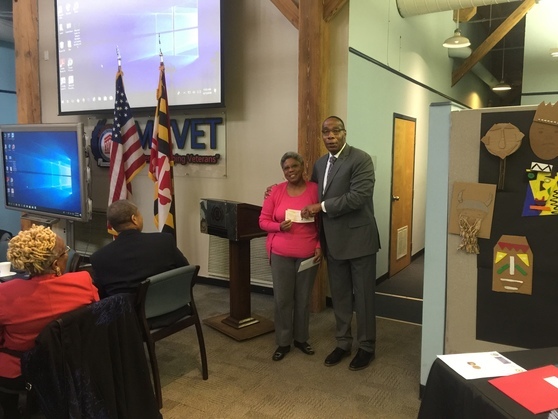 In the photo above, Mrs. Jacqueline Kimball is presenting a very generous donation from the VFW Auxilliary Department of Maryland to Mr. Jeffrey Kendrick, Executive Director of MCVET. Please see a list of upcoming events held by MCVET in the Community Partners section below. 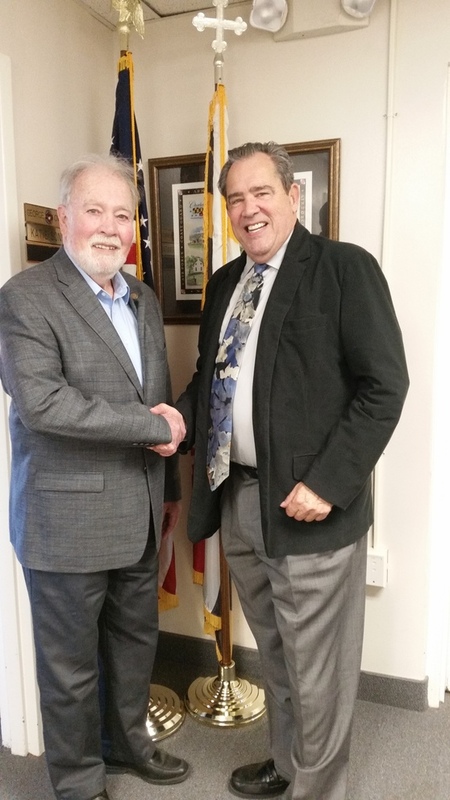 Retired Captain Rex Smith (USA), receives the Vietnam Veteran Commemoration Pin from MDVA Secretary George Owings. Captain Smith was also a former Director of the Maryland Department of Juvenile Services. 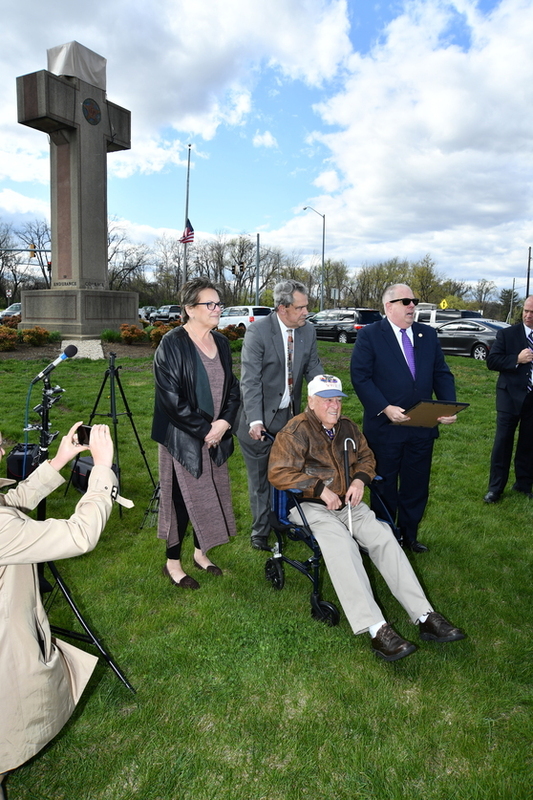 Governor Larry Hogan was joined by Secretary of Veterans Affairs George Owings III to honor Second Lieutenant John Robert Pedevillano - a World War II veteran, Prisoner of War, and Purple Heart recipient - with an official governor’s citation recognizing his military service and dedication to Maryland and the United States. The event took place at the Peace Cross monument in Bladensburg, Maryland, which was constructed in 1925 by local families and the American Legion to honor members of the community who fought in World War I. 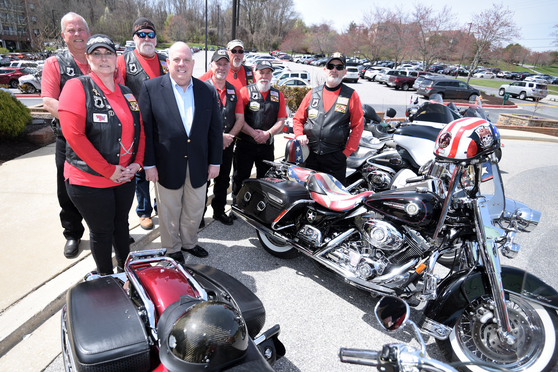 Governor Larry Hogan today joined the American Veterans (AMVETS) Department of Maryland for a luncheon event, where he received the Past National Commander A. Leo Anderson Memorial Freestate Award of Excellence. The governor was joined by First Lady Yumi Hogan, Maryland Secretary of Veterans Affairs George Owings, AMVETS Maryland Department Commander Ed McKinnon, Auxiliary President Donna Tolland, Sons of AMVETS Commander Joe Forrest, and many other veterans. The Hogan administration has worked to ensure that all veterans can continue to live, work, raise a family, and retire in Maryland. The first piece of legislation ever signed by Governor Hogan established March 30th Welcome Home Vietnam Veterans Day, and since then, he has pushed for and enacted legislation to provide tax relief for retired veterans, encourage employers to hire veterans, provide assistance for housing, and more. 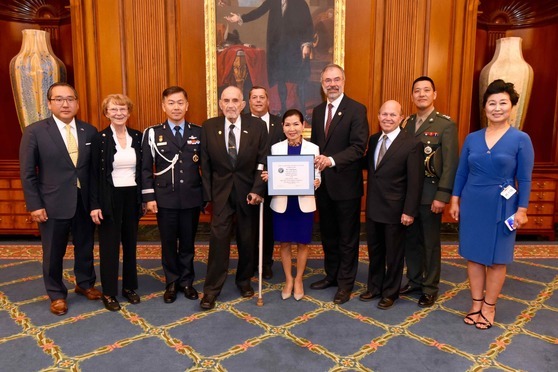 First Lady Yumi Hogan Appointed as Honorary Ambassadress Ex-officio by the Korean War Veterans Memorial Foundation, Inc.
First Lady Yumi Hogan was appointed as an Honorary Ambassadress Ex-officio by the Korean War Veterans Memorial Foundation, Inc. (KWVMF) in the Rayburn Room on Capitol Hill. Colonel William E. Weber, USA-Ret., Chair of KWVMF, thanked the First Lady for her support of Korean War Veterans. Congressman Andy Harris and members of the Executive Committee for the Korean War Veterans Memorial Foundation also attended today's ceremony. Mrs. Hogan is the first Asian-American First Lady in Maryland’s history and the nation’s first Korean-American First Lady. She grew up in a rural village in South Korea before immigrating to the United States several decades ago. The Korean War Veterans Memorial Foundation, Inc., is a non-profit, tax-exempt organization originally entrusted with the responsibility to ensure that the Korean War Veterans Memorial in our Nation’s Capital will be maintained in perpetuity and to assist with ceremonies at the Memorial honoring all those who have served. What is Your Health Age?